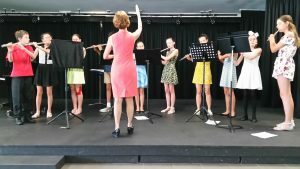 I have been teaching flute & music for over 30 years and derive so much pleasure seeing my students improving whilst building a lifetime love of flute & music. I love what I do & am passionate about passing on my skills & love of music to my students. I am very proud of the flute playing and musical achievements of my all students throughout the years that I have been teaching. 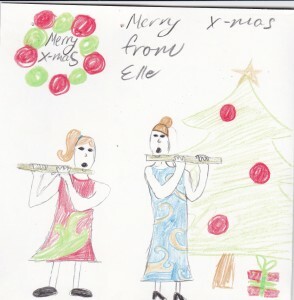 My students regularly achieve outstanding results in their yearly flute examinations. 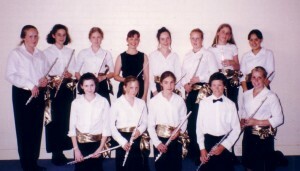 Many of my former students have gone on to successfully gain positions in tertiary music programs and to pursue music as a career becoming music teachers at schools & universities – as well as working in other areas of the music industry. 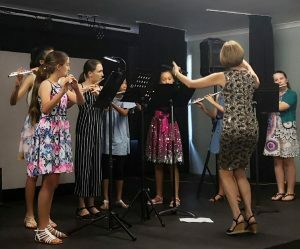 The most important achievement for me though is knowing that each student of mine is building a life long love of flute and music and has personal satisfaction in their progress whilst developing valuable skills. 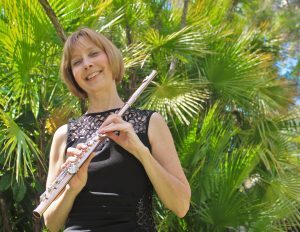 I conduct flute lessons in a positive and encouraging environment. I always aim to provide a rewarding music learning experience at each lesson no matter what age or level the student is. 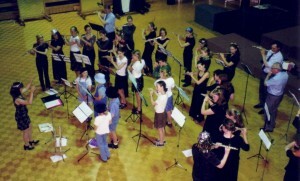 Lessons focus on developing the correct technique in all aspects of flute playing. 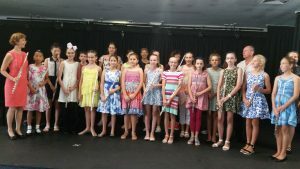 Congratulations to all my students who did their Australian Music Examinations Board (AMEB) flute exams in August this year. Exams done ranged from Preliminary level to Grade 8. All students received excellent results. I pride myself on every year achieving outstanding results for all of my students and it was great to see that trend continuing in 2018. ‘Thanks so much for all the hard work you do with my daughter. 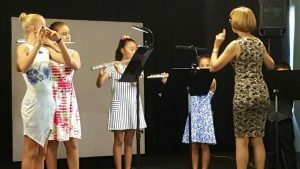 You are not only making her great at playing the flute but also helping her become more resilient and a better learner.”…. Thank you for being so helpful and kind during my first year of flute. I feel lucky to have a teacher like you. Thank you for being an amazing teacher. Thank you so so much for teaching me this year. You have taught me so much and I know I have come a long way, but only because of you. You’re amazing! Thank you for being the best flute teacher in the world! I can’t wait to do Grade 3 exam next year! Thank you for teaching me. I have learnt many things & techniques with my flute & none of this would have happened without an amazing teacher like you. Thank you for a great 2 years. 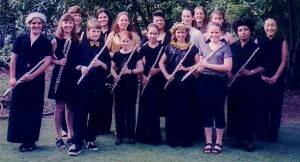 I have loved playing the flute and you have helped me so much. At first I couldn’t even put a flute together and now you are helping me prepare for my exam. You have been a great teacher and I feel like I have improved a lot this year. Thank you for all that you have taught me this year. The techniques & pieces I have learnt have been really interesting and thank you for all the work you put into my lessons. Thank you so so much for believing in me, even when I didn’t believe in myself. You have been the best flute teacher anyone could have. You are always understanding and helping me out:) I will be forever grateful for your teachings and for being a kind teacher and friend. Thank you so much for teaching me all these years. I have learnt a lot. I look forward to the many years of flute to come . Thank you for always being so nice and understanding. Thanks for your help for Victoria. Her father and I really appreciate your efforts and patience to Victoria’s progress. Thank you so much! You are such a lovely teacher. It has been an amazing 3 years since I first met you. From 60 minutes of scales to delightful duos, it has been a sometimes painful but always a fun & enjoyable time of my life. I love your sense of humour and the friendly vibe you give off. Thank you for your constant encouragement, and for always being patient & kind, even when I sleep in and come late to lessons…..I honestly could not have wished for a better teacher. Our time together will definitely be something I will remember when I look back on my life in Cairns and every time I pick up the flute, I will think of you. Thank you for being a part of my life. Thank you for being my teacher this year and helping me pass my exam. Thank you so much for teaching me the past two years. It has been such a great experience and I am so glad I was able to learn the flute especially from such an amazing teacher like you. Thank you for all you have taught me this year it has helped me so very much in my flute career, it is now my favorite instrument. Thank you for being the BEST flute teacher EVER! Words don’t describe how THANKFUL I am! Thanks very much for all of your hard work throughout the year we are impressed with the terrific improvements Ryan has made. Only you could make a stubborn 10 year old practice. Who could get me to play in front of a room full of strangers – who could get me through 6 exams and a performance certificate without dying of stress? Thank you for eight years of friendship and fun and thank you for all the friends I have met through your concerts and the competitions. Well you have been my favourite music teacher so far & you probably always will be. You have always been so patient with me, even when I haven’t practiced a lot. I will never forget your kindness. I will never forget you. 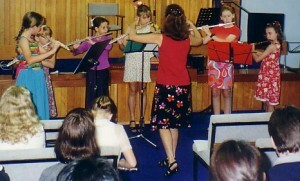 You have taught me so much but most important – you have taught me to love music and the flute. I just wanted to thank you for all your hard work with Debbie so far. Your constant encouragement & positive comments have helped her tremendously. She looks forward to her lesson every week. In fact, it is the highlight for her. You have helped increase her confidence & self esteem. I don’t think you realize how much you’ve helped her so I would like to thank you. Thank you so much for all of your amazing teaching over the years. I have really enjoyed flute even though my practice habits aren’t that great yet! What more can I say. Many thanks for teaching & inspiring Eleanor over the last eight years. You have been a great friend to her & a wonderful influence. Thank you very much for teaching me. I’ve improved so much since I started having lessons with you. You’ve helped me so much. I enjoy the flute. Thank you so much for your dedication and the many hours you’ve spent guiding my fluting. I’m glad I persevered with music long enough to realize how much of a help you’ve been – I appreciate it.